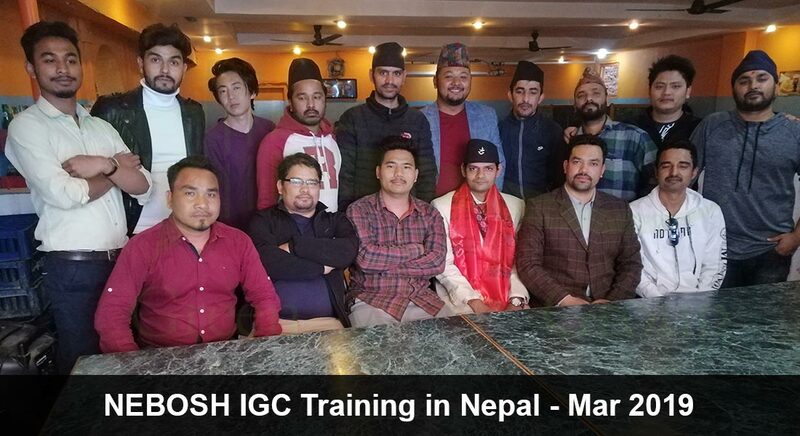 In the midst busy city of Katmandu along with cold breeze from Mt Everest and Divine blessings from Lord Pashupatinath & Swayambhunath, Green World Group (GWG) joined hands with Himalayan Safety Solutions (HSS) and conducted first NEBOSH IGC Batch in Nepal. The flight travel was quite challenging for me, as I crossed two air ports and 2 hours road travel to touch Nepal border. Mr. Deepak Lamichhane (Managing Director, HSS) warmly welcomed me in Katmandu Airport. I took time to adapt myself for the cold environment prevailed there. After crossing GC1 Element 3, few students lost confidence and their self-esteem went down. Appropriate, past successful students case studies have shared and motivation had given to keep up their confidence level. Exam writing techniques, time management methods have detailed during training. On 10th day, GC3 report writing exercise have executed and 100% review percentage on basic sections of report writing had achieved in the following order: 5 Observations review, Introduction, Executive Summary structure review, One main Finding review, Conclusion structure & one recommendation review. The Mock Test trackers are clearly indicating that few students have the potential to get good scores. Few of them would come up during study holidays. The least performing students have called and need for focus in studies had emphasized. 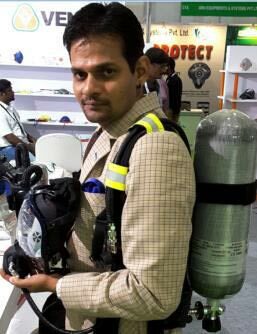 I am extending thanks to Mr. Deepak for his cooperation during the training period. After ten day sessions, we all celebrated Green World Group 850th batch & Himalayan Safety Solution 1st NEBOSH IGC batch in typical Nepali Style. Students showered me with abundant love and respect. I am wishing a great career sucess with the grace of God for each student who took this training.